Fans of Martha's meal-delivery service with Marley Spoon will be pleased to know that the partnership has been extended until 2022. The service delivers fresh ingredients, sourced from local purveyors, to prepare exciting meals that generally take less than an hour to cook. All of the recipes for all of the meals are created by the food editors at Martha Stewart Living, with Martha's personal input. The ingredients come with large recipe cards that can be saved and stored and each week you can order something new to try. There are also vegetarian and gluten-free meal options. The German company, which now operates in Austria and throughout Europe, does nearly 35% of its business in the United States. 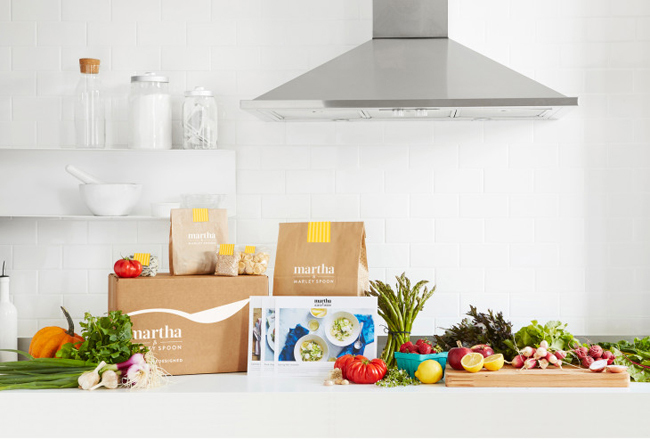 The company says that Martha's branded meal kits were among the year's best-sellers in the U.S. Click here to visit the Martha & Marley Spoon site to learn more and set up meal delivery.